We have been advising clients in Germany, Europe and the USA for many years, on mergers and acquisitions of operating companies, the purchase of healthcare real estate and on questions concerning strategy and restructuring. Our team is made up of highly qualified employees with many years of expertise and experience. These standards are maintained through continuous training. See the results for yourself with the help of our excellent track record. Lasting mutual partnerships with our clients and within our team is a top priority at Avivre Consult. Thanks to our many years of expert knowledge and experience, we enjoy a high degree of acceptance from operators, institutional investors and venture capitalists. We are independent and possess an extensive network of branch contacts. Discretion is of paramount importance in our dealings, confidentiality being the key to gaining complete trust from our clients. We will provide you with extensive advice and will also actively accompany you throughout your projects. With the assistance of our extensive measures, we help venture capitalists to ensure that their investments in operating and property companies are secured in the long-term, thereby remaining recoverable. We assist operators with the structuring of existing and planned health and social care facilities, in order to remain competitive in the long-term. 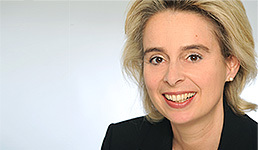 Avivre Consult GmbH, based in Bad Homburg, was founded in 2005 by Ines Löwentraut, the Managing Director of Avivre Consult GmbH. Today, Avivre Consult is one of the largest and most successful nationwide operating consulting companies in the market for healthcare and social services, especially in the area of location and competition analysis, interim management and restructuring, audits, M&A transactions and advisory support for major care home funds.